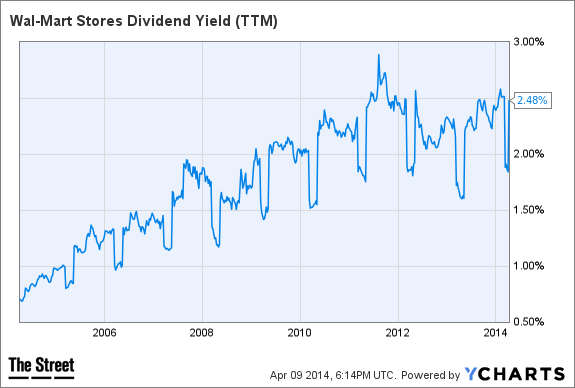 These stocks offer generous dividend yields and the opportunity for appreciation. NEW YORK (TheStreet) -- One of my favorite trading strategies is to buy a high-yield dividend stock that's in an overall bull trend when it experiences a pullback. Here are three examples. These companies have reliable dividends, are in a bull trend and are dipping in price. They also have other qualities that warrant your consideration. Simulations Plus (SLP - Get Report), which makes software used in drug research, has a market cap of $102 million and is thinly traded with fewer than 100,000 shares a day. The company offers exposure in the pharmaceutical sector without much volatility. Its software simulates compound interaction within the human body. One intriguing example used by CEO Walter Woitosz during an earnings conference call on Thursday was testing on babies. Because of the rapid maturing of babies during the first years of life, it's a greater challenge to perform clinical trials. Simulations Plus' software helps reduce the number of variables to consider. The software is proven in the field. The Food and Drug Administration's Center for Food Safety and Applied Nutrition, FDA Office of Testing and Research, MHRA (U.K.'s equivalent of the FDA) and the top 20 pharmaceutical companies are clients. The company is debt free, has $10.9 million in cash and most of its income is distributed as dividends. The gross margin is 84%, and net margin is over 27%. Sales and the number of customers are growing. A software product called MembranePlus, which is close to release, is expected to boost the company's earnings and revenue. International sales are expanding, especially in the U.K., India, China and Japan. Woitosz isn't the most dynamic conference call speaker you're likely to listen to, but he does come off as honest and sincere, attributes Wall Street could use more of. I posted exact buy price levels, profit target and a stop loss limit on Real Money Pro Thursday while buying shares for myself. Walmart (WMT - Get Report) is the world's biggest retailer. Walmart takes a lot of heat, but from my observations, the company operates in an ethical and profitable manner. When I used to take factory tours in China, I could always tell when the company sold to Walmart because it observed rules and regulations closely. Factories of Walmart suppliers were among the most professionally operated. Walmart is a Teflon stock. It shakes off adversity well and continues to perform. The company adapts to shifting consumer needs quickly by changing itself or buying others to maintain leadership. Sam's Club is a prime example of expanding to ensure different markets are served. Another example is a further expansion into organic foods. Walmart is collaborating with Wild Oats to offer a greater selection and lower prices on organic food products. The market took notice on Thursday, and Whole Foods Market's (WFM shares lost over 4% by the closing bell. 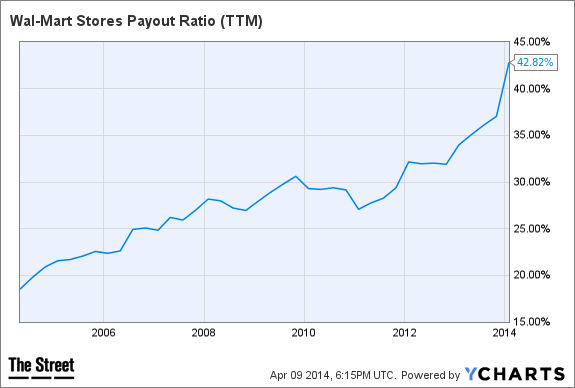 Walmart distributes $1.92 a year in dividends for a yield of about 2.5%. The dividend is especially attractive because of continuous increases. During the depths of the financial crises when companies, including General Electric (GE - Get Report), dropped or lowered dividends, Walmart continued to pay and increased its payment. 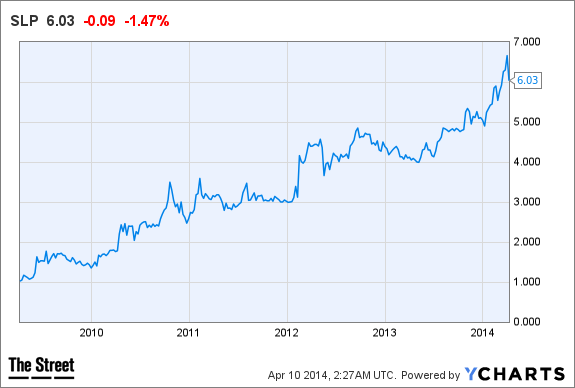 For long-term investors depending on steady and consistent quarterly checks, Walmart can be a key holding. The last reported short interest is paltry at only 1.6%, a strong indication that the stock is not likely to decline. Eli Lilly (LLY - Get Report) is one of the world's biggest drug makers. If you're on the hunt for a dividend powerhouse with a chart that is moving rapidly from the bottom left to the upper right, Lilly is a strong candidate for your portfolio. 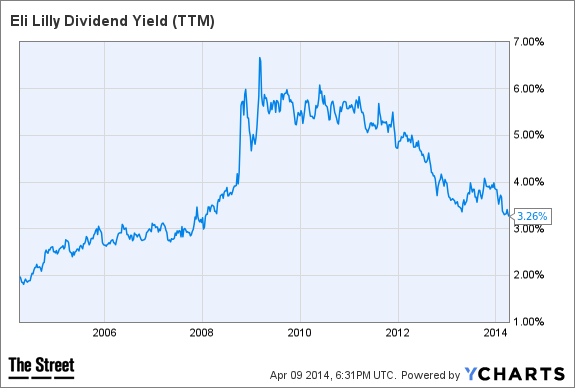 The dividend yield is 3.3%, while the company still keeps the majority of its income. The shares hit a 52-week high on April 3, but declined after news of a jury award for $9 billion to a plaintiff that Lilly is named as a defendant. Makes for a great headline, but the other co-defendant is on the hook for the entire amount because of the marketing agreement. Once investors fully understood the true exposure, shares quickly recovered and hit another 52-week high on Wednesday. Lilly reports earnings on April 24. Don't allow that to come as a surprise. At the time of publication, Weinstein is long Simulations Plus.